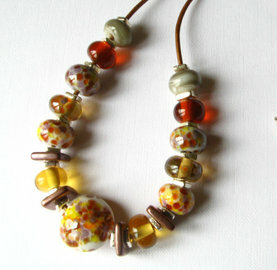 Every glass bead used in these necklaces are made by me in my studio, the beads are fully annealed for durability, the combination of technique, colour, design means each necklace is unique. 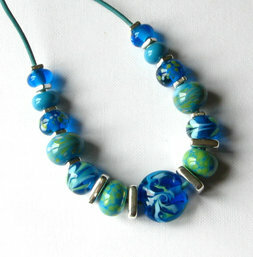 Some of the beaded necklaces are on a leather cord, some on a wire cable, please read the description for further information. 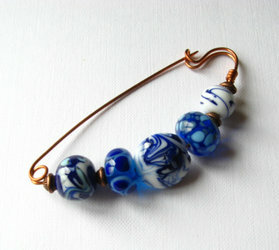 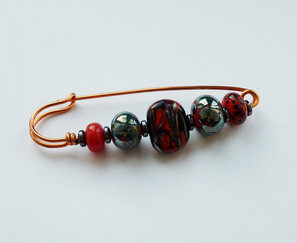 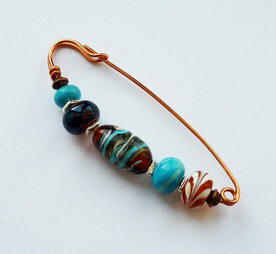 I also make fibulae, or brooch pins using my handmade glass beads, and copper, or sterling silver wire. 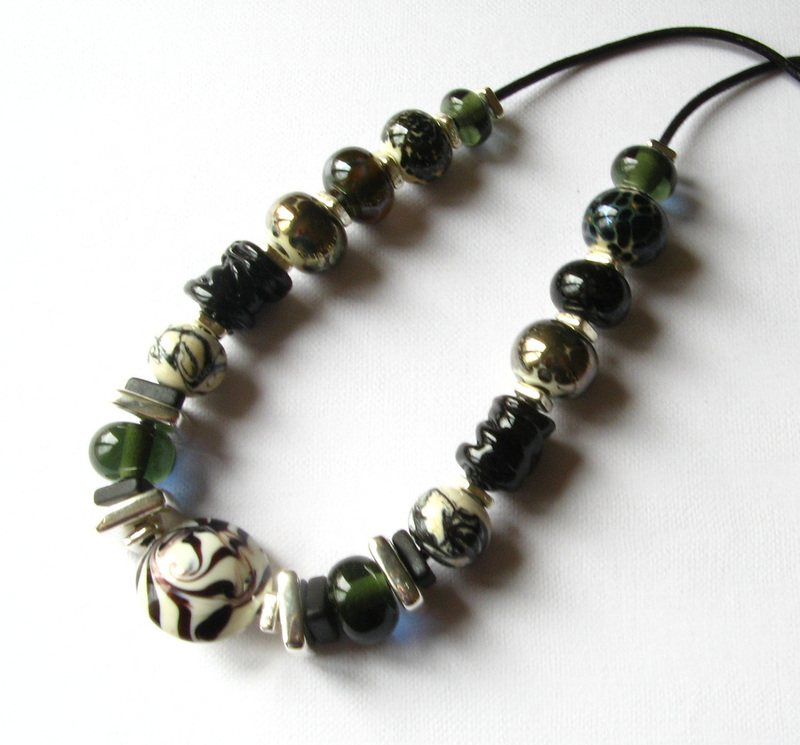 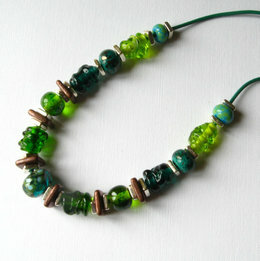 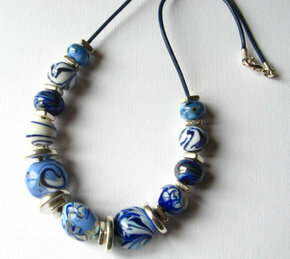 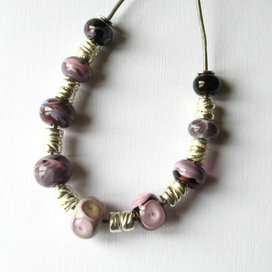 These are inspired by a Roman bead found in an archaeological dig.